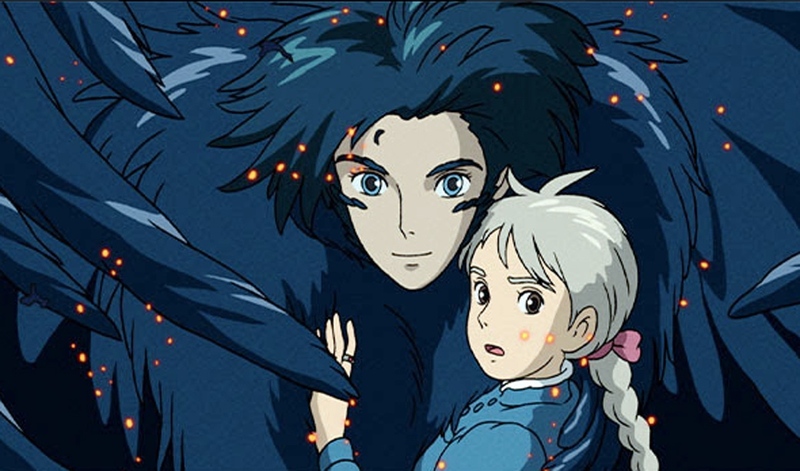 As part of Studio Ghibli Fest 2019, GKIDS will present 15th-anniversary screenings of “Howl’s Moving Castle” at selected theaters. Showings are on Sunday, April 7, at 12:55 p.m. (dubbed); Monday, April 8, at 7 p.m. (subtitled); and Wednesday, April 10, at 7 p.m. (dubbed). Sophie, a quiet girl working in a hat shop, finds her life thrown into turmoil when she is literally swept off her feet by a handsome but mysterious wizard named Howl. The vain and vengeful Witch of the Waste, jealous of their friendship, puts a curse on Sophie and turns her into a 90-year-old woman. On a quest to break the spell, Sophie climbs aboard Howl’s magnificent moving castle and into a new life of wonder and adventure. But as the true power of Howl’s wizardry is revealed, Sophie finds herself fighting to protect them both from a dangerous war of sorcery that threatens their world. The English version features the voice talents of Lauren Bacall, Christian Bale, Billy Crystal, Blythe Danner, Emily Mortimer and Jean Simmons.